Virtual open days (VOD) are fast-becoming an integral part of student recruitment strategies. At the last count, 106 universities offered some form of VOD, whether that is a pan-around campus or a much more immersive experience with virtual reality, live chat, video tours and presentations. With a growth of 10% year-on-year in VOD adoption, what is driving this investment and what is the rationale? From my own experience as a parent of a soon-to-be undergraduate, our journey – as parental input cannot be ignored – started over a year ago, when my son first expressed an interest in studying sport at a higher level. I had read that a fairly local university had invested millions of pounds in state-of-the-art sports facilities, so I took a look at its website. As the virtual reality tour of the soon-to-open sports facilities unfolded before me, I was blown away. “Wow! Look at this!” was my immediate reaction as I called for my son to look. My son and I were hooked and engaged from the first moment of seeing this. The power of this visual tool took us on to the next stage of our journey to open day and now to first choice. “And it is this response that virtual open days are trying to convey and why they are so important. We know more and more, parents are such a powerful influence,” endorses Zabina Kosar-Ahmed, student recruitment manager at the University of Manchester. VOD, in its simplest form, is a way of engaging with prospective students and taking them on a journey; staying connected with them as they make their choices. Taking it a step back, Kosar-Ahmed recalls her own experience of looking for a university and how, before VOD and social media tools, we made choices based on gut feel. Her mission at Manchester is to deliver not only its overarching ethos of ‘there are no limits to potential’ but also to convey this gut feeling to people who cannot attend open days. So, what better way to encourage and attract international students and those not able to travel than enabling them to see from the comfort of their mobile phone what your university can offer, through a tech-tastic immersive 3D experience with some universities offering live chats with course tutors and students, and even drone footage of the campus and city? Birmingham University has an impressive VOD set-up, offering virtual tours via Facebook and Instagram and live chat on Facebook, showing the scope of what can be achieved and tapping into the growing prevalence of social media, particularly Instagram. While rankings are a prime factor for international students when choosing a university, your VOD tools can enable you to compete by showcasing accommodation and course choices and demonstrating why students should choose your university, giving them an insight as to how it would feel to live on your campus. And this is the vital role that VOD, together with digital tools, can play as it aims to put itself ‘in the eyes of the student’, tapping into the tech that this generation of students uses. VOD really comes into its own as a powerful tool for showcasing new facilities and accommodation. Take the £400m investment in the brand-new engineering facility at Manchester; one of the important roles for VOD is showcasing this investment to ensure that highly ranked students around the world are attracted to the university and continue to walk through Manchester University doors and, in so doing, help deliver a return on investment. And this is where VOD really comes into its own – not only do you showcase the bricks and mortar but what this can actually offer and what students can achieve while studying and living there. Through VOD, you can show practical examples of what current students are doing and help create that connection, the desire to go – that gut feel, through an immersive experience. While smaller in volumes, VOD plays a vital part in clearing and in filling those empty seats. Students are proving to be much more transient in their university choices than just a few years ago; they are now starting their trawl as early as May rather than waiting for results day. Kosar-Ahmed tells us that across the sector Google has seen an increase in the number of people searching for courses that are still open, possibly because they may have changed their minds about their chosen course or feel that they may not have done as well as needed. With less time to plan, particularly the closer it gets to results day, VOD offers students an excellent opportunity to get a feel for a university and a course without having to visit. “Virtual open days become so powerful during that period especially because students are having to do that entire 18 months’ work in a day or in a morning because actually for a university like us clearing is over by 12 o’clock because we have filled up,” says Kosar-Ahmed. You can also use VOD to reaffirm to applicants what they can achieve at the end of their degrees, showing the kind of impact they might have on the world. Future plans must be readily accessible on mobile devices, and Snapchat and Instragram are vital tools to incorporate into future VOD to stay connected and empathetic with today’s students. Personalisation is also key, enabling applicants to select components most relevant to them to view at their virtual open day, creating a much more modular experience. “They’re not interested in seeing every single building that you have on offer; they just want to know about the things they’re going to be involved in,” explains Kosar-Ahmed. The overriding goal, though, is to tune into the mindset of students, creating that connection and engagement, making them feel comfortable and getting that buy-in. “The key end goal for us with any of our virtual open days is how do we create a place for students to see themselves and equip themselves for the future skills and development that they need. How do you create that ‘third’ place; it’s not home, it’s not work; it’s a third place, where you can feel comfortable, you can relax, and you can learn in so many different styles,” concludes Kosar-Ahmed. Virtual open days should be an essential part of all universities’ recruitment and digital strategies. They are an alternative for students and their influencers who are unable to attend an open day to view your facilities, but also an opportunity to promote booking on a real-life event. There are two main types of VOD: the first being an online event, set at a specific date and time, replicating a traditional open day through live chats and video; the second is an ‘always on’ immersive experience, with 360° virtual tours and videos to show off campus. At the University of South Wales, we have opted for the latter, integrating 360° panoramic images with embedded YouTube videos, information hotspots, Google Maps and live chat on the landing page. You can view it in VR headsets, as well as on mobile and desktop. They are used on the website and by both our UK and international recruitment teams at events with prospective students. Our virtual tours are targeted at both prospective UK and international students, especially those who are time poor or simply not able to visit. We have had particularly good reactions from prospective students overseas. We first launched the system in 2014, shortly after the launch of the University of South Wales. But, last year, we changed platforms to give a cleaner user interface and integrated Google Maps. In September 2018, we used the same system to launch our new Dubai Campus internally and externally, which enabled our staff and stakeholders to see the progress of the new campus. We created our virtual experience in-house, shooting the 360° panoramas using Google’s recommended Street View Trusted Photographer kit (Nodal Ninja panoramic head, Canon 5D, 8mm lens) and stitching the images with Kolor’s Autopano Giga. Finally, we created the interactive experience using RoundMe, enabling us to embed relevant YouTube videos, information hotspots and Google Maps. We decided to go in-house due to the number of panoramic images we need to cover our four campuses. It also gives us the flexibility to update the content whenever we require. Our virtual experience offers live chat, multiple 360° panoramas, embedded YouTube videos, information hotspots and Google Maps showing the relative direction you are facing within the tour. It also works in VR headsets. Since launching the new tours using RoundMe, we’ve had 11,717 sessions and over 5,000 live chats. It’s an essential tool for our student recruitment teams both in the UK and internationally. I’ve seen plenty of virtual experiences that look incredible on desktop and then grind to a halt on mobile. A mobile-first approach to virtual open days is essential. Two years ago, we created a 360° video interactive tour of campus, which on a high-spec iMac looked and sounded incredible, but was too resource-intensive for viewing on mobile. So, we decided to go back to basics and create a mobile-first experience that worked. I’ve found the best time to shoot your 360° panoramas is in spring or at the start of term in September/October. You will have longer days for natural light, the campus will look greener and, most importantly, students will be on campus. We’re planning on reshooting our 360° panoramas this spring to keep them up to date. 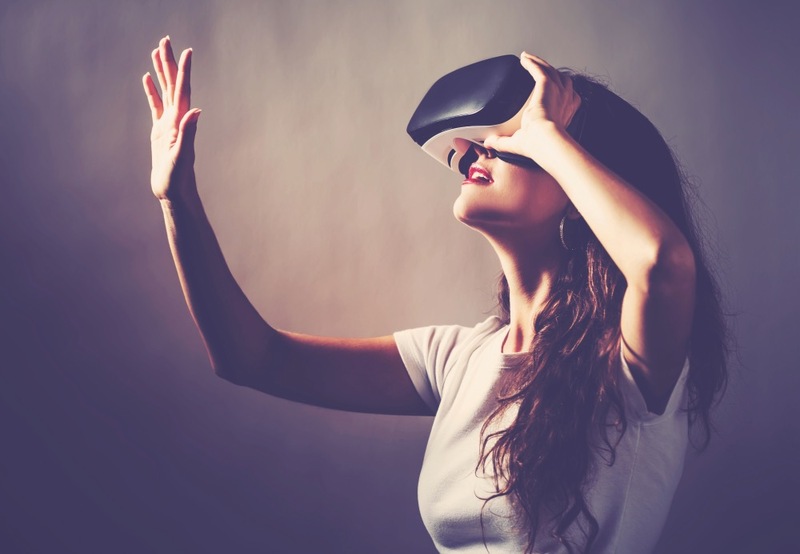 Virtual reality open days can be a good way to reach audiences who might not otherwise visit university campuses, such as international students or UK students who can’t afford to travel to universities. The virtual reality element enables prospective students to become immersed in university campuses and facilities more than any other existing medium and our user testing shows that, for prospective students who like using VR, it is an enjoyable and memorable experience. For many of our clients – we’ve worked with 83 universities over the past 14 years – the virtual reality element of a virtual tour or virtual open day that we’ve built provides a hook to other digital content and events on campus where conversion can be measured. We would advise not doing VR in isolation – it needs to be considered as an integrated part of your campaign and supported with other content. Remember that not everyone has a headset at home and some people do find VR disorientating, so to maximise the usage of any VR solution, universities need to consider these potential barriers and work with reputable suppliers to overcome them.